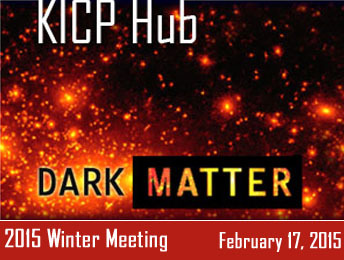 We will host a dark matter hub meeting at KICP on Feb 17 (9 am - 1:30 pm). 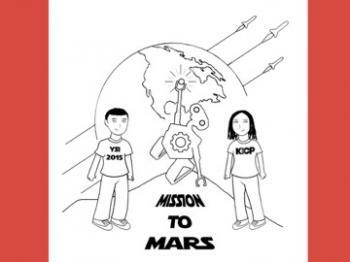 The theme will be "beyond the simple WIMP" and focusing on a broader framework of the dark matter sector. Dan Chung - "Dark matter in the early universe"
Bibhushan Shakya - "Neutrino Masses and Sterile Neutrino Dark Matter from the PeV Scale"
Francis-Yan Cyr-Racine - "Gravitational Detection of Self-Interacting Dark Matter"
Tongyan Lin - "CMB probes of WIMP and non-WIMP dark matter"
Dan Grin - "Axions in cosmology"
The Kavli Institute for Cosmological Physics (KICP) at the University of Chicago is hosting a workshop on CMB spectral distortions. The frequency spectrum of the Cosmic Microwave Background has been shown to be a blackbody to a precision of 50 parts per million. However, at higher sensitivity the CMB is expected to show distortions from the blackbody shape. These distortions contain the signatures of energy-releasing processes in the early universe. A new experiment could improve the sensitivity to distortions by a factor of 1000 or more, opening a new window into the physics of the early universe. This workshop will explore the science potential and design requirements for such an experiment. A series of working sessions will examine the spectral signatures from different effects, instrument trades to reach different sensitivity levels, and data analysis techniques to maximize the science return from the spatial/spectral maps. The conference will be three days, Monday May 18 through Wednesday May 20. The first day, Monday, will include an overview of the scientific questions accessible with CMB spectral distortion measurements, both from a theoretical and experimental perspective. These include predictions for the type and amplitude of distortions due to specific energy inputs in the early universe as well as predictions for the competing Galactic foreground emission. Experimental considerations include the sensitivity and accuracy of possible instruments and the trade space for optimization. The second day, Tuesday, will consist of splinter sessions followed by short plenary reports. The goal is to allow workshop participants to exchange ideas and potentially develop collaborations for future research. Each splinter session will have a workshop leader who will give a brief splinter report. Reports from earlier sessions will inform and modify later sessions as freewheeling discussion leads to new critical topics. The topics for the splinter sessions are open for modification. The last topic of the Monday program is to update the splinter session topics. Suggestions for additional topics are invited. The third day, Wednesday, will consist of topical reviews of the activities leading into a discussion of priorities for future research, both theoretical and experimental. Pavel Motloch - "Neutrino detection with transition radiation"
Laura Kreidberg - "Exoplanet Atmospheres"
Sasha (Alexander) Kaurov - "Effect of Dark Matter annihilations on reionization and recombination"
Alan Robinson - "Dark Matter Searches need Nuclear Physics"
Chen He - "Probing the Early Universe with the CMB"
Sean Mills - "Observed Resonance in Kepler Planets"
This will be an intensive 1-day working workshop for people who are interested in porting their data into WorldWide Telescope and developing uses for that data in WWT - video abstracts, tours, etc. 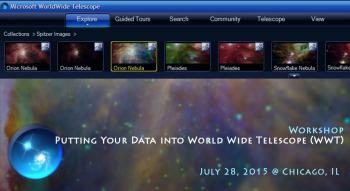 A follow-up data showcase at the Adler Planetarium is also planned. 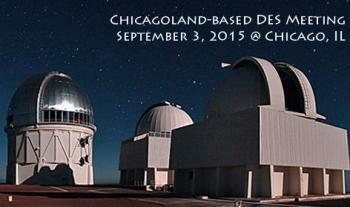 This 1-day long Chicagoland-based DES meeting creates a common discussion platform for those who work on Dark Energy Survey (DES) at the KICP, University of Chicago, Fermilab, UIUC, NCSA, and Argonne. The ongoing Dark Energy Survey is designed to probe the origin of the accelerating universe and help uncover the nature of dark energy by measuring the 14-billion-year history of cosmic expansion with high precision. Learn more about the survey at the DES website. The objectives of this meeting are to provide updates and to discuss various science/infrastructure projects that are going on in Chicagoland and to provide a channel for interested people to join ongoing and create new projects. 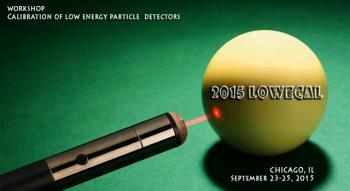 The Kavli Institute for Cosmological Physics (KICP) at the University of Chicago is hosting a workshop on the calibration of the energy response of a wide range of different targets and technologies that are currently being implemented and/or explored for the detection of the lowest energy signals from dark matter and neutrino interactions. These include scintillating crystals, ionization and phonon solid state detectors, noble liquid scintillation and ionization detectors, and superheated detectors. We aim to bring together a diverse group of scientists to report, propose and discuss the various calibration techniques. Current research at KICP includes multiple efforts, on- and off-site, on the calibration of bubble chambers, charge-coupled devices, noble liquid time projection chambers, p-type point-contact Ge detectors and CsI crystals. The Kavli Institute for Cosmological Physics (KICP) at the University of Chicago is hosting a workshop this fall on theories of modified gravity. The purpose of workshop is to discuss recent progress and interesting directions in theoretical research into modified gravity. Topics of particular focus include: massive gravity, Horndeski, beyond Horndeski, and other derivatively coupled theories, screening and new physics in the gravitational sector, and possible observational probes of the above. 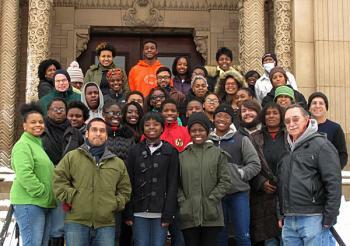 The meeting will be relatively small, informal, and interactive workshop for the focused topics. We will host a dark matter HUB meeting at KICP/EFI on Nov 16 (9 am - 1:30 pm) in Room 401 ERC. Dan Hooper - "Dark Matter Indirect Detection with Subhalos"
Gordon Krnjaic - "Discovering or Falsifying Light Thermal Dark Matter"
Seyda Ipek - "Reducing Small Scale Structure via DM-Neutrino Interactions"
Andrey Kravstov - "Dark Matter Halo Structure: New Results and Insights"
KICP is hosting a workshop on GRAND (Giant Radio Array for Neutrino Detection) on December 15. 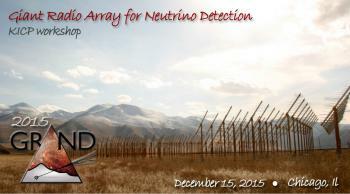 The goal of the workshop is to bring together experts in large-scale array deployment, radio-detection and neutrino astrophysics, in order to discuss the technical challenges of the GRAND project.